Healthy-K9.com - What’s Causing Millions of Dogs to Become Overweight? Home/Dog Articles/What’s Causing Millions of Dogs to Become Overweight? Every time I go out and walk my dog whether at the park or just around my neighborhood, I would always run into an overweight or fat dog. I had to wonder if this is becoming a norm. Sadly, the answer is yes. Obese dogs are becoming the norm. And this is really frightening. Over 17 Million Dogs Are Overweight! In a 2010 article published in healthypetsmercola, Dr, Karen Becker mentioned that according to the American Veterinary Medical Association (AVMA) an estimate of over 40% of U.S. dogs are overweight. That’s over 17 million dogs. What’s even more interesting according to the AVMA is that only 17% owners of overweight dogs acknowledge the fact that their furry companions have a weight problem. The misperception as to what is an unhealthy body size among owners of overweight dogs is very concerning. This results to healthy dogs looking undernourished when compared to obese dogs. Overweight or obese dogs are becoming the norm which makes this weight issue even more concerning. This weight problem is certainly bad news for all dog owners. It’s no secret that we all want our furry companions to live a happier, healthier, and longer life. Who’s Responsible for the Fat Dog Trend? 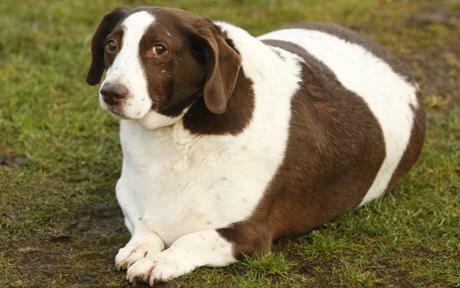 So who’s responsible for the alarming fat dog trend? There are 3 culprits according to Dr Becker. The dog food industry, dog owners themselves, and veterinarians. In this post, let’s discuss the first culprit which is the dog food industry. Sadly, many dog food companies when producing dog food actually don’t have your dog’s health in mind. This is not to say that no dog food company actually does, but the truth is only a few of them do. In the past 2 decades, less than 10% of what’s available in the market is actually good for your dog’s health. And the makers of commercial dog foods that are of high quality and healthy for your furry fellows are actually the small guys in the industry. The big commercial dog food brands have 90% of the market in their hands so most dogs consume their products that are of poor quality and loaded with additives such as salt, unhealthy fats, and sugars. These additives such as fat makes the dog food more palatable or tasty. Dogs also have a sweet tooth, so dogs get hooked on dog foods loaded with sugars. So when dog owners switch to a healthy dog food without these unhealthy additives, the dog turns up her nose. 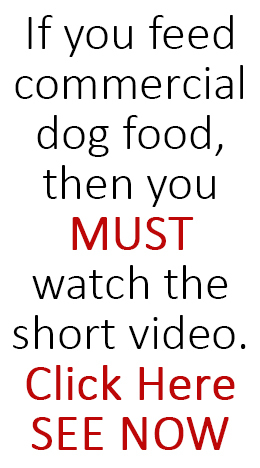 As dog owners, we naturally want to give our dogs the food that they really enjoy eating. And many dog food manufacturing companies have taken advantage of this fact. They’re motivation is more on how they can ensure that dogs are hooked on their dog food so money keeps pouring in. So they put these addictive additives in even if they can cause obesity. Aside from obesity, another health concern is that a dog’s preference is limited to just one type of food which crosses out variety which is what any healthy dog diet has. I feed my dog homecooked meals and she is thriving. She’s got a healthy weight and body. Now, if you are planning to cook for your dog, I suggest that you start reading on the topic before you switch. You can start with this – 3 Basic Rules of Homemade Diet for Dogs. A helpful book would be Dog Food Secrets now on its 6th Edition. You’ll find very helpful information on how to make sure that the homemade diet for dog you prepare is healthy and balanced. The book also contains a number of recipes that you can follow. There are also a number of dog food brands that are healthy for your dog. You might want to get the Confidential Dog Food Report now on its 4th Edition. 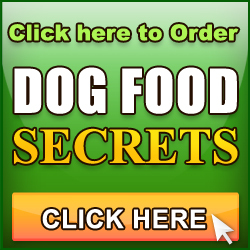 This books lists down the 9 ultra healthy dog food brands out in the market. In the next post, we’ll discuss the 2nd culprit of dog obesity, which is unfortunately us, dog owners. We’d love to hear your thoughts on dog obesity, so don’t be shy and type your comment. 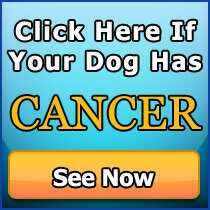 Share the information to other dog owners via Facebook, Twitter, or Google plus!